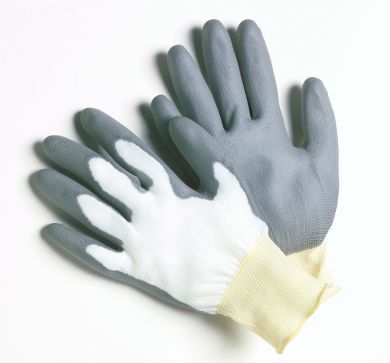 SMALL - Ultra-thin Polyurethane Coated gloves. Breathability of a string knit while providing the dexterity and gripping ability required for mechanical applications. 13 gauge nylon shell, coated with thin layer of Polyurethane. Form fitting - gray color coating. Case qty 144. sold in dozens ONLY.